Ottoman interiors were comfortably furnished with woven and embroidered textiles of different kinds, which were used for bedding and as throws, covers, and hangings. These were folded and stored in wall-fitted cupboards when not in use. Silk, which was traded from Asia into Europe through Turkey, was used for the manufacture of luxury items for the highest levels of society, firstly the court. The city of Bursa (Turkey) was the major silk trading post of the Ottoman empire and one of the key manufacturing centres of the time. One of the most common types of weave used for the production of silk fabrics in the Ottoman period was velvet (in Turkish kadife). 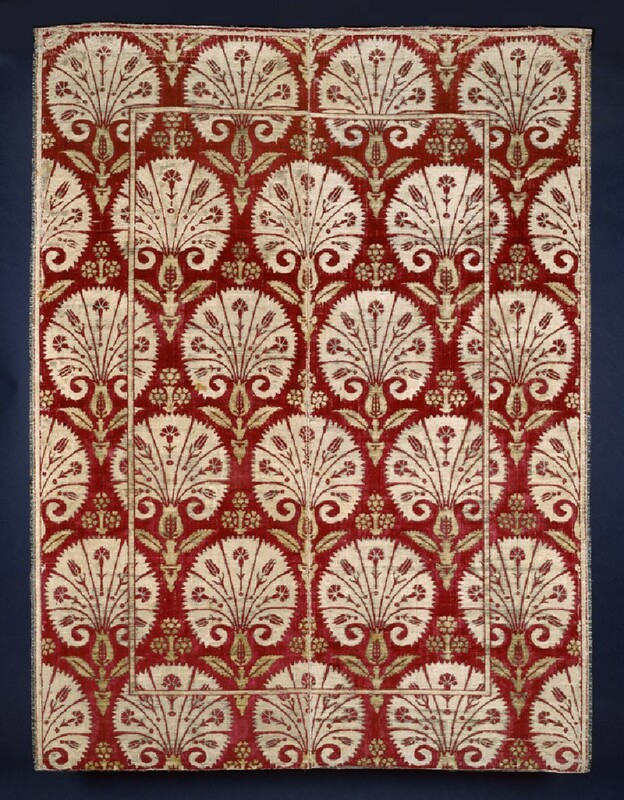 This example, made of two loom widths sewn together, was brocaded with metal threads – thin strips of precious metals wrapped around a silk core – to create the carnation design against the crimson background. 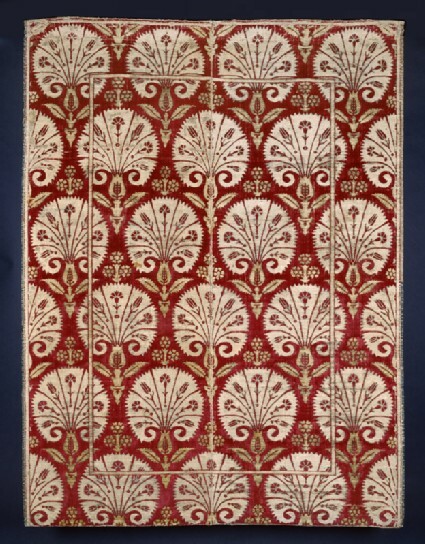 Velvets of this type were used as floor spreads and cushion covers. Purchased with the assistance of the Art Fund and the MLA/V&A Purchase Grant Fund, 2001.